The English Cocker is a exuberant dog that has a gentle nature. To keep them calm he needs enough space and exercise. 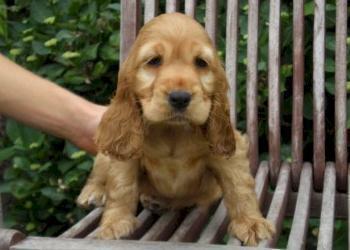 The English Cocker has a joyful personality, he quickly gains friends and he loves to play. He needs a strict and an early education, if not, he can start to bite. His fur needs a regular treatment.